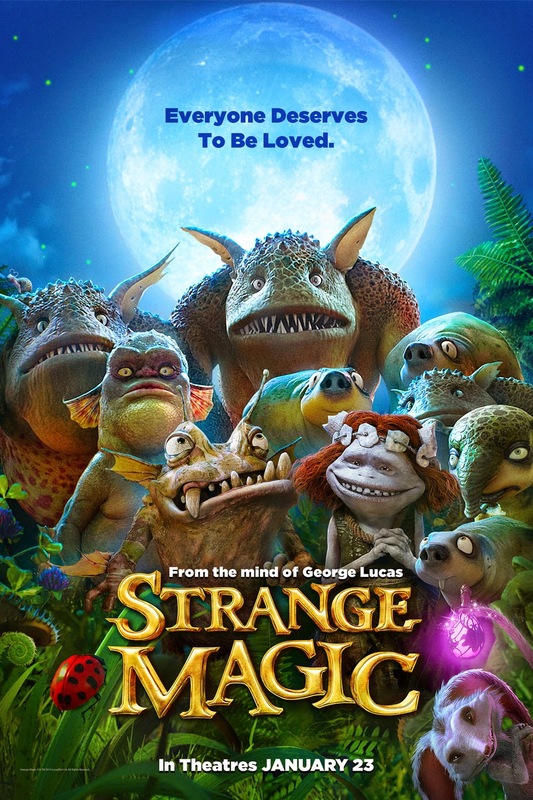 Strange magic is, Strange to say the least. It’s a musical with pop culture songs, which is kind of weird most of the songs don’t quite fit in. The story did get interesting in the middle but was ruined with a group song. The animation and visuals are amazing and are the only reasons to watch this movie. Honestly, it was painful to sit through, I mean, the movie had something to it but it wasn’t well developed. Their main concern seemed to be we should hit this song here, this song there, and that song here.